Bircham: Good form has given gaffer a headache! SUCH is the form of the QPR team that Ian Holloway and his coaching staff face a selection headache for this weekend’s trip to Preston North End. The R’s picked up two wins in the space of three days courtesy of victories over Birmingham City and Wigan Athletic, with both results heavily affected by players from the bench. Idrissa Sylla and Yeni Ngbakoto came off the bench to score in our 4-1 triumph at St Andrews on Saturday, while Kazenga LuaLua was hugely effective as we beat the Latics 2-1 on Tuesday night, after he replaced the injured Grant Hall. 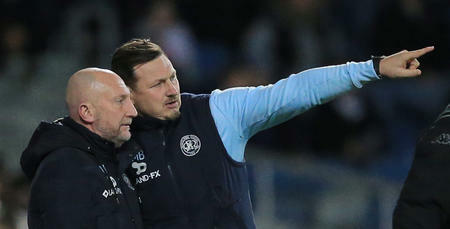 “So many games are won from the bench, and you’re only as strong as your bench,” Bircham told www.qpr.co.uk. “We’ve seen it with the last two wins, how people have come off the bench for us and had a big impact. “It’s a headache for Ollie and us as staff because we have got so many players who are flying in training and full of confidence, but that’s what you want. “The good thing is the harmony that exists within the squad. No-one wants to be a sub, everyone wants to be playing, but you want them to understand that they’re going to get their chance, which they do. Hard work was certainly required for our mid-week win against Wigan. 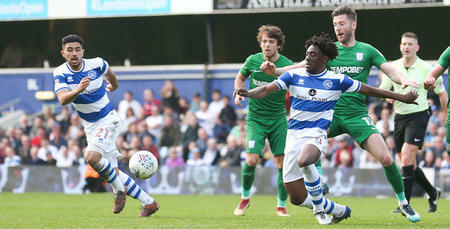 After taking the lead early through Matt Smith, the R’s were pegged back when Omar Bogle netted from the spot on 17 minutes. 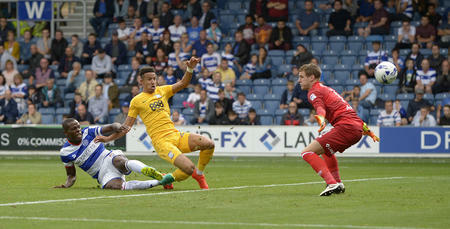 Rangers responded to seal all three points, with the in-form Conor Washington scoring the winner in the second half. And it was the reaction to the Latics’ leveller which really encouraged Bircham and the coaching staff. “What really pleased us was the attitude of the lads,” he said. “After we conceded the penalty, I have seen QPR teams in the past not respond well to that setback, but we kept going and got the win. “You would naturally expect a lift in confidence after two wins, but like I’ve said before, there was a good feeling amongst the group before that anyway because of how we’ve been playing. “It’s good when your forwards are scoring – we’ve had Conor and Matt score, and Yeni and Sylla as well, and that breeds confidence for everyone. 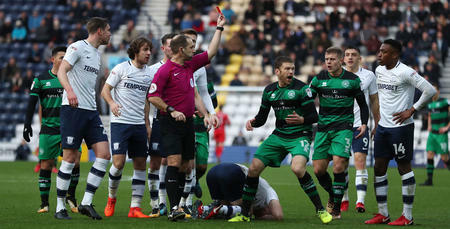 QPR visit a Preston side this weekend who sit nine points outside the play-offs. With 15 games still remaining, they won’t have given up on gate-crashing the top six. Allied to QPR’s attack-minded approach, that should make for an open game. 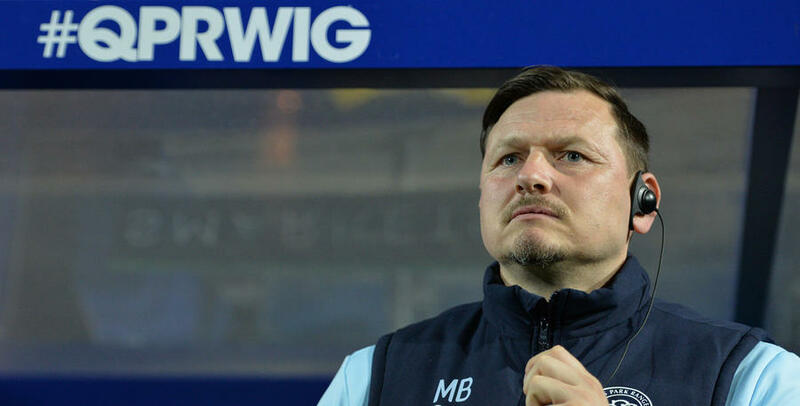 Whatever the nature of the match, Bircham says QPR will be ready. “You’ve got to be able to win different types of games – especially in the Championship,” he explained. “It probably matters more in this division than in most across Europe, never mind just this country. There are so many different styles played in this league, so you have to be able to cope with that if you want to be successful. “That was the case earlier in the season too – we beat Wolves away, Ipswich at home and then Reading away. They were all completely different games! Simon Grayson’s side haven’t lost at home in the league since Boxing Day, but Bircham and co. are relishing the challenge. Grant Hall (shin) is a doubt for the trip to Deedale while Jordan Cousins (hamstring) and Steven Caulker (hip) miss out. Conor Washington (calf) is expected to be fit. Meanwhile, Jack Robinson (hamstring) came through 90 minutes for the Under 23s on Monday as he nears a return to first-team action, although Saturday’s fixture may come too soon for him. It’s a happy unit at QPR and everyone is working hard for each other.